AnimeJapan returns for another year and dials back the tuner at what should've been its loudest tour. 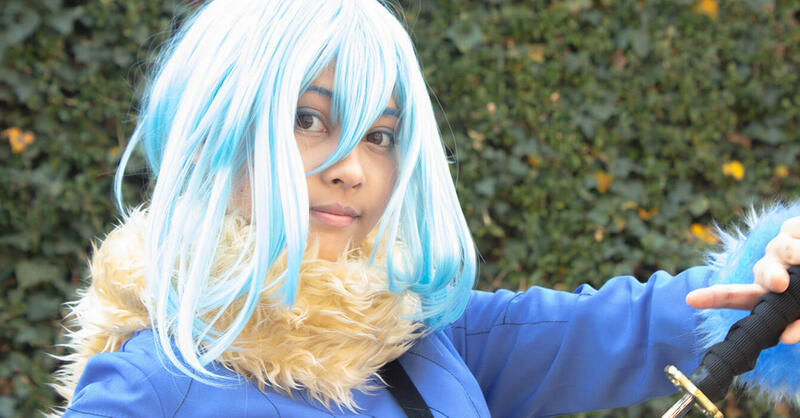 AnimeJapan 2019 rocked the socks off Tokyo Big Sight in its sixth year – “Rock” being a pun on the word for “six” in Japan, 六 Roku. 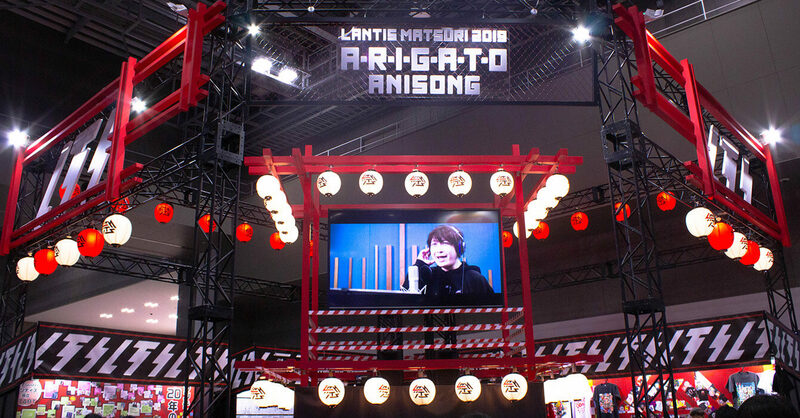 As one of the biggest anime events in the world, AnimeJapan excites with its vast array of anime related stuff on show. While it’s not as large as Comiket (and also costs money, unlike Comiket… for now), AnimeJapan is backed by a consortium of anime companies. This aids in the legitimacy of the convention, but also detracts in some ways that I feel make a convention great. If Comiket is the heart of the anime fandom in Japan, AnimeJapan is the hand that feeds the heart. 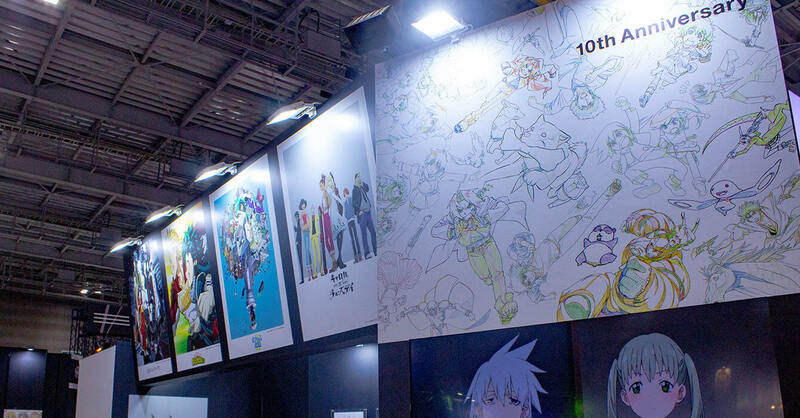 AnimeJapan is the E3 of anime, with corporate booths lining both major halls. If you’ve been to E3 or PAX, you’ll know what you’re going to get. As I walked in the East Halls of Tokyo Big Sight on Saturday morning, I was greeted by the bright lights of the d Anime booth and a sea of booth babes trying to push whatever it was they were promoting onto me. Free promotional things are a common theme of AnimeJapan. They can range anywhere from sheets of paper with information on an upcoming show, to key visual A3 cards (thanks Warner Bros. for the great Mob Psycho 100 cards! ), manga testers (with the first chapter of multiple series), bags with adverts on them, tissue paper, and cardboard headbands of Boruto. While some of the things can be cool, most of it is junk that you’ll forget about in a few weeks. No matter how cute the girls are handing out the items, learn quickly how to say no. If you need practice, head to Akihabara the week before and walk up and down Chuo Dori for an hour. That’s not to say some of the booths weren’t cool. One of my personal favourites this year was the Bandai Namco booth and their “Animation Passport” stamp rally. Their airport themed booth allowed you to explore different shows they were promoting in various ways. Another great booth was “Magica Record”, promoting the Puella Magi Madoka Magica: Magica Record smartphone game, upcoming anime, and overall project. Using various design motifs from the anime (and game, I assume? I’ve never played it), I felt rightly creeped out by a weird bear doll and a large replica of Walpurgis Night from the original series. For fans of 22/7, the virtual idol group that somehow can hold all of Sally Amaki’s dankness, they had their own booth on display. While photography wasn’t allowed in the most interesting areas, including where the girls were giving away promotional items, just the fact you could meet Sally and her character Sakura in the same place was really interesting, though obviously not at the same time. 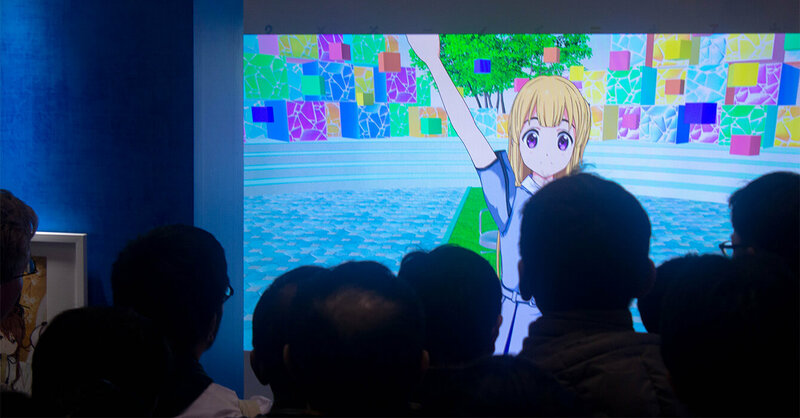 The virtual girls were delivered live on a television screen, which hid the seiyuu away while they were doing all the live motion capture. For Japanese fans, the AnimeJapan stages are the biggest draw. These stages are hard to get into, as they’re not first come, first serve, unlike most panels at Western conventions. You have to apply a month before the event into a lottery system for up to five stage shows, and it’s potluck whether you’ll get to go to the ones you want or not. Sadly this year, in my opinion, most stages weren’t great. At E3, you’re usually going to see some exclusives, maybe learn early news, or at least something interesting. Most news showcased at this year’s AnimeJapan were announced the week prior, including second seasons and brand new PVs. The only AnimeJapan Premiere I can think of is the Konosuba film trailer, which was on YouTube minutes later. Dance Party in the East Halls! AnimeJapan panels run like the panels you’d see at San Diego Comic Con, minus the Q&A sections. At the start, there’s usually an introduction of the series, then the seiyuu (voice actors) of the series come out and quip for a few minutes. Half way through the panel, a tease of something interesting happens, then the something cool happens (which is usually a PV, maybe some other news or even a performance). Finally, at the 45 minute mark, the seiyuu leave the stage after quipping a bit more or taking a selfie with the audience. If you’re a fan of Japanese seiyuu, then these panels are for you, but for those that like news or the production side, like me, then stick with the booths. The Bones booth is always good for keyframes. These Main Stages aren’t the only places to see voice actors or performances. 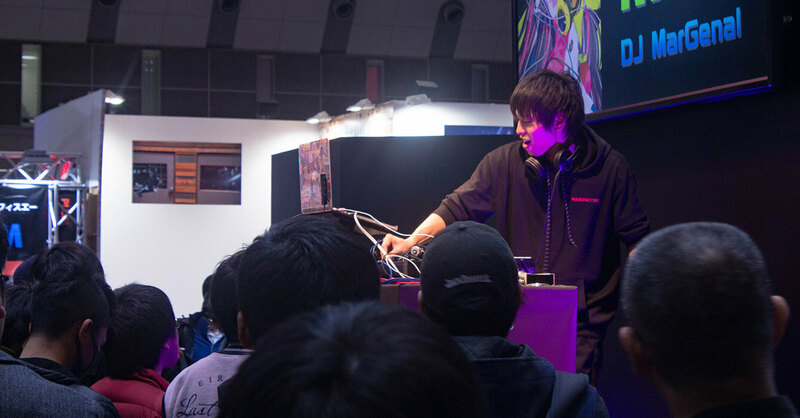 The Sacra Music booth had a weekend long rave happening in East Hall 6, with remixes of music from Sony Music Japan properties off a DJ’s MacBook Pro. Over in East Hall 7, Kadokawa had a stage with various events on it all weekend, including a talk with Rie Takahashi, the cutest seiyuu in the industry. Don’t @ me. Emilia is starting life in a wonderful world, hopefully with God’s Blessing! Cosplaying in Japan means business, from the insane outfits to the expensive equipment used by Japanese photographers. 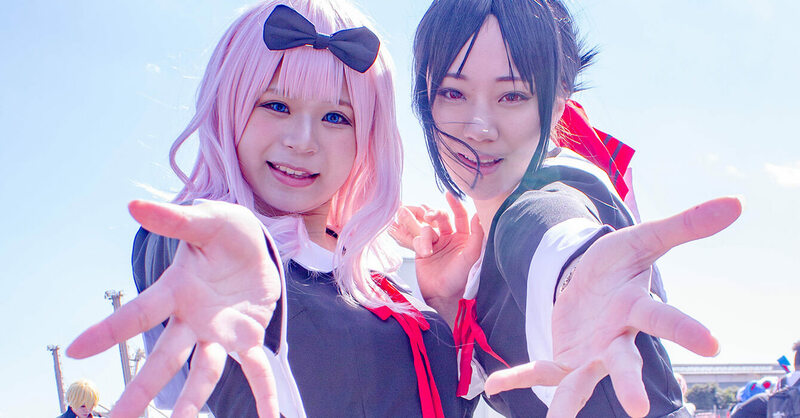 While walking through the halls, you’ll see booth babes and cosplayers strutting their stuff to entice you into whatever they’re promoting, whereas outside you’ll find Japanese fans dressing up as their favourite characters. Inside or outside, crowds swarm all the cosplayers, so if you want images, get in early. The tough part of that is, in Japan, you’re “encouraged” to change at the venue. This includes make-up, getting into the costume, and any last minute changes needed for being in the costume for a few hours. This is all after AnimeJapan opens, so cosplayers don’t usually show up until an hour after the start of the day. I started taking pictures around 11:00 AM and even then it was already busy in the outside cosplay area, with lines for some cosplayers being over an hour long thanks to the light-boxes being set up by some photographers. Also, don’t forget your sunscreen! While Japan is coldish this time of the year, the UV index is high. Don’t do what I did and get sunburnt. 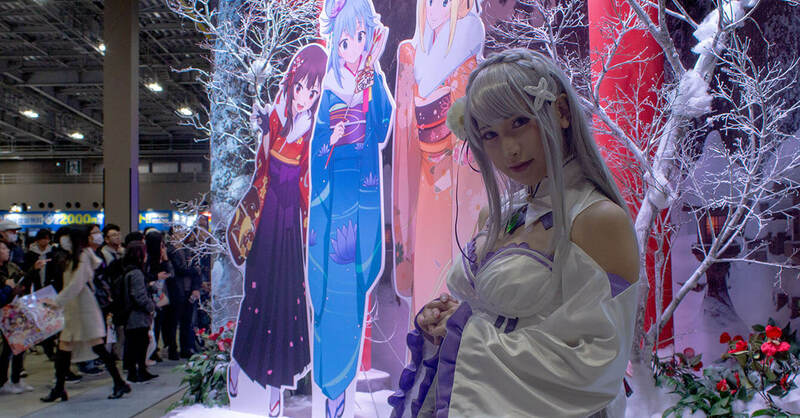 How Did AnimeJapan 2019 Perform? Walking into the East Halls of Tokyo Big Sight during AnimeJapan is like walking into an anime wonderland. You get dazzled with lights from series you’ve yet to hear of, but once you’ve been around the halls once, it all feels a little superficial. There’s a lot of style but hardly any substance, especially when you’re going through booths at a quick pace to get the next round of guests in. Once midday passes, you’re unable to visit any of the better booths, like the Attack on Titan recreation, without being inundated by people. While attendance was lower in 2019 than the 2018 event, dealing with 146,500 other visitors over the two days can be a little much. 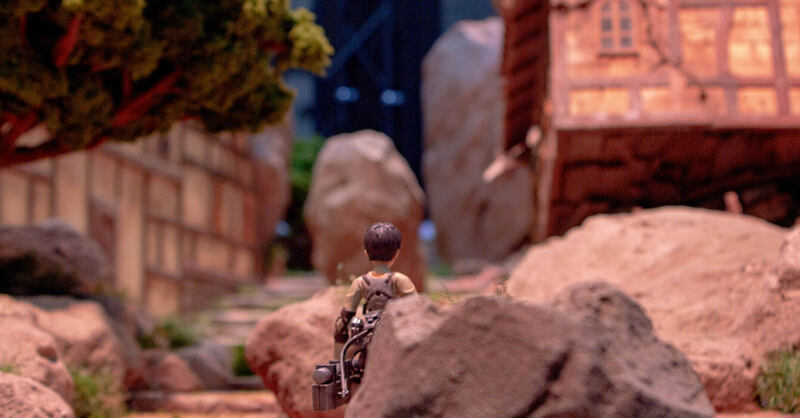 Mini figure of Eren taking on the world! Unless you absolutely love the corporate panels (and can win a ticket to them), you can get through AnimeJapan in one day. For me, I prefer the community feel of Comiket over AnimeJapan, which shares some of the same corporate booths, including a personal favourite, the Kyoto Animation Shop booth. Next year, AnimeJapan will be moving to the other side of Tokyo Big Sight, into the smaller halls to accommodate the 2020 Olympics. The Tokyo Olympics are also affecting Summer Comiket, bringing it forward to Golden Week 2020, making it and AnimeJapan only a month apart. This makes it easier than ever to plan your trip to both of the events at once, and be able to see the sakura in the interim. Showcasing everything wonderful Bones has made, including Soul Eater Not! While AnimeJapan didn’t rock my socks off as much as it did last year, I know that 2020 will be a big year for the convention and Tokyo as a whole. Writer/Video Maker/Freelancer living in Japan making stuff about the things he loves.